Before a Virtual Machine can connect to the Internet, its MAC address must be submitted through ServerPortal. This guide is designed to show you how to add these MAC addresses to your account. Click “Services” from the main menu, then select “My Services” from the drop down list. Scroll to the bottom of the page to Network Information. Any additional MAC address you have already added wil be displayed here. Click the Add or Edit MAC Addresses button. 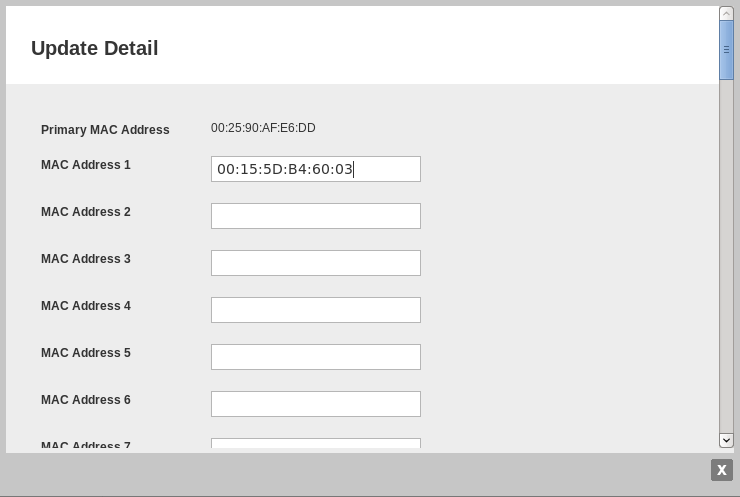 In the popup window, add, edit or delete any unused MAC addresses you have already entered. After you have finished editing, scroll down to the bottom of the popup window and click Update to submit your changes. After only a few moments, your new MAC address will be ready to use.